Joseph R. Sadler has been named chief executive group chair for Vistage Michigan. 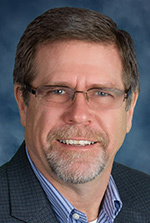 Sadler serves as consultant and president of SaTech Services LLC and SaTech Logistics Inc. in Bloomfield Hills. He will act as the adviser, mentor, and business coach to his Vistage Michigan group, conducting one-on-one coaching sessions with each member. He also will facilitate peer advisory group workshops with his chief executive members. Sadler has 35 years of expertise in operations and supply chain solutions with a wide background in global and local organizations. He is a Fellow of the American College of Healthcare Executives. Sadler, of West Bloomfiel, received a bachelor’s in computer engineering from Michigan State University and an MBA in Health Care Administration from Oakland University.